Mount Fuji Resonance will be presented at three different times to accommodate world time zones. The actual event will last about 15 minutes, each time. Modern mystics, healers, energy workers, and anyone, anywhere, who feels drawn to being part of Mount Fuji vibrational energies at this time. May this shared moment of Mount Fuji Energy Resonance ground and expand our vibrational energies in 2012 for healing not only Japan, but also ourselves. As we move into the new year with grateful awareness, please accept this Mount Fuji Energy Resonance event as a little healing gift from me at Energy Doorways in Yamanashi, Japan. With love from the foot of Mount Fuji. Bernie emailed me this letter which he has agreed to let me post here in comments. His wonderful words present a profound meditation on healing. Perfectly in resonance. Thank you as always, Bern. So if the tone or mood or atmosphere is low and depressed, one often gets stuck in such a mode. Because of peoples habitual tendencies they have very little experience at changing the channels where one could lift themselves from a lower octave to a higher octave. The lower octave or sad feelings may not be good or bad, but free will has become stifled. Choice then is limited because one is no longer empowered. Their power then maintains the feeling that they are trapped in through their attentiveness to the situation they find themselves in. Therefore, they continue to feed fear or negativity by speaking its name or by believing in what they are seeing or experiencing. However, many healers, lightworkers, and shamans may take a different approach. I have heard that the Japanese used to bow in their greetings to others to acknowledge the God within. One then sees life and people then in relationship with their definition of God which then is different for each person. If one equates god as an aspect of oneness, then one’s actions and speech then move towards correcting the outer world or reinventing the world in relationship to oneness in such an image from one’s imagination or dream waiting to come true. If someone speaks heavy, a healer can offer a lighter alternative. For instance, if someone compliments another and if the compliment is taken as offered, a new mood arises or a new conduit of energy is connected to, or a new channel or frequency is tuned into. One then sees life through such positive parameters since the one who received the compliment was receptive to receive a hypnotic suggestion. In theory, they should do this themselves, but since they have given away their god given abilities, a proxy as in a healer can then offer the vision that the receiver wishes to achieve. They then are pulled up to a higher note. Therefore, as one moves through environments which may be negative in nature through mental imprinting…. such feelings and thoughts may arise in a sensitive persons auric field. If they identify with these clouded feelings or what I would call emotions or feelings that are unresolved, then one may be overwhelmed with such energy since the ego attaches to the mood, because they have claimed it and have put on its suit or costume. Since they have attached themselves to this transference…. one can be said to have requested this energy to try on. They can only then let go of such energies if they understand the root cause, or if they create a rationale to empower them to let go of such energy. With practice and with the proper subroutines installed in the subconscious, one can learn to try on energies and to take them off at will. Gifted healers can even convince such energies to dissipate and return to source. They can imagine the energy transforming from one form into another form. Through the conscious dream state, one then funnels energy into new directions through the power of intent. One essentially projects a new image or scenario into the environment or upon a person. This dream then intermingles with the dream states of others and then begins to shift the atmosphere in any given attention arena. Therefore, if someone is acting down or poorly, you do not believe them. One then sees a higher aspect of the self in others and offers such projections in response to any given situation. Words can be spoken, but nothing needs saying. The gift then is in the offering of a new and higher vision towards people and situations. This then broadcasts into the world and follows one’s intentional instructions just as the power of prayer does. They are one and the same. All thoughts and projected feelings can then be considered as prayer. Therefore, if one feels bad about themselves, then their prayer is answered. However, a true shaman and light worker then projects a scenic scenario without a doubt. Since the vision is clear, and if the recipient desires or wishes for such a vision to come true, they then can also clearly step into the vision or dream suggestion that is projected upon them. This then can be done for entire cultures or planets. One merely has to have a clear vision and can hold or embody such a vibration in themselves and can send it to the proper recipients. For instance, you mentioned the place that one goes to preform suicide. I have seen this place in a documentary before where people will camp out and will eventually commit the act. This place is heavy with down and disempowering energy. One can say that it attracts negative energies to feed on such people pushing them further and over the edge. Since so many people have followed through with such actions, this intention and imprint permeates the local environment. Lets say if you visited such a place and felt this imprint or even lingering souls that feel that they can’t move on, one can tune into this feeling or soul frequency and begin an empowering conversation with it. One then can uplift their spiritual mood and then envision them rising higher and higher until they can feel themselves entering into the light. Therefore, the healer then assists lost energy in back eddies to move forward into the flow of life even after so called death. Ideally, a temple or shrine or monument can be built at this location. However, such a temple should not mention suicide at all. It is a shrine then that celebrates life inviting all energies in the vicinity to enter its positive radiation. Intent can be then installed into such a monument as to provide instructions for energies wanting to move on to the other side. The intent can be imagined and then can be also engraved upon the monument its self and could also be depicted with symbolic and metaphorical pictures to reinforce the nonphysical energy flow. This power station of light then would become a beacon of love and forgiveness in such a strongly overpowering negative area. Such an intention will soon become the hope people need who then visit such an area in the future which then would diffuse or short circuit a suicidal approach. Therefore, the point being offered is that one envisions a new outcome and then holds such a vision or vibration in their auric fields. One’s auric field or dream world then follows conduits of intention…. that is when one connects to others through their will to communicate authentically in a heart to heart manner by placing their attention on particular people or events or places. This then overlaps with the idea of soul traveling where one then has the opportunity to transfer or download new energies into other dream entities. This then is a blessing. One then can offer blessings or higher hypnotic suggestions to those who request a change. In this ongoing meditative state, one is perpetually connecting with whatever feelings or energies that cross one’s path throughout the day, where one then always is leaving or imagining a better place or way of living than what was there before. One then cleans older existing negative intentions with brighter and lighter positive inlooks and therefore higher outlooks. 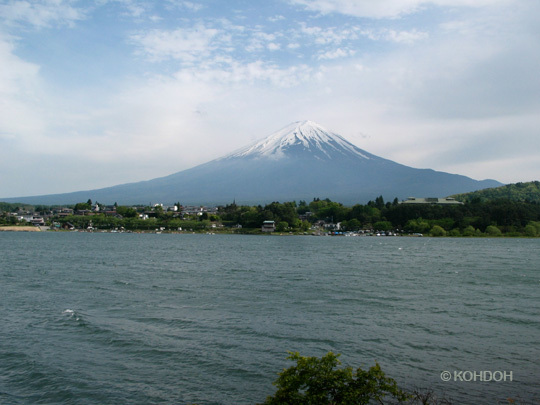 Another example is with a volcano such as Mount Fuji. One can see the mountain and always see a volcano ready to erupt with anger. Another may see a higher version of the volcano and can see it as a pressure relief valve. Yet another may see the earth creating a situation to move closer to the heavens in such a realm as to where the gods reside where new images can be painted upon the blank canvas of a blue sky. If one can imagine or can physically climb the mountain to new heights, one can reach a place of high exclamation and towering positive feelings. If one returns to the base of such a mountain, one can take that feeling of being on top of the world wherever they go. This then can become a go-to place of good feelings when one begins to sink into a lower vibration no matter where they may physically find themselves. Yet another empowering methodology would be to travel to the heart of the mountain where the loving nature of the physical manifestation can be communicated with through open hearts. Much love from the Pacific Northwest. Deepest thanks for resonating so profoundly today. Your words speak for themselves. Thank you so much again, my wonderful friend in the northwest. From the foot of Mount Fuji in Yamanashi, much love. Catrien. Its as if true power is accessed by one’s authentic use of their imagination. When one is free to envision their unique perspective without the friction of outside influences, the more widespread and all encompassing one’s vision has as an effect and contribution to the exterior world. Since a true vision is harmonic, it then doesn’t interfere with the choices that others make. It can only enhance and brighten the created landscape that is coming into focus and into manifestation. This is why plagiarism is discouraged, because one’s point of view and access to their higher self is being obscured by a mental energetic prism or prison that distorts how an individual is meant to process the world. Perhaps those people who are then drawn to this healing are a part of a larger soul group who have a similar vision or dream for the world. No one is then coerced into channeling energy in a foreign way. How one then individually heals the whole is then perfect in that it compliments the others in the group. The combined effects then are exponential as if a positive tsunami sweeps across all lands dissolving those borders and boundaries that cause disease. Thank you again Catrien for being who you are and for the compliments you bring to True Living. Throughout my life and work I have found that each of us sounds a unique note, emits a unique frequency, which is essential and contributes to the harmonic whole. And this harmonic whole beats at the heart of all genuine connection and healing. So what each of us can do is reveal and sound our own unique note in the world. Through our unique frequencies the harmonic whole resonates. Thank you for the beauty and power in the unique note you sound, Bern. Resonating in love from the foot of Mount Fuji in Yamanashi. Catrien. Thank you so much for doing this. I also would like to acknowledge and applaud one of the significant aspects of what you are doing. As an owner of authentic and powerful knowledge, you are requesting that individuals communicate directly with you in order to receive technical instructions. However, it detracts from the power of a teaching if it is flung far and wide, to those who value it and to those who do not. You aren’t just doing something important here for Japan, Catrien. You aren’t just showing integrity in your own work. You are helping, gently and insistently, to help your fellow lightworkers all over the world to continue to move forward in our purest integrity… whatever the popular pressures to do otherwise. Thank you so much for sharing your perspective. Integrity is the keyword that illuminates the work you do – have been doing – to bring what you call energetic literacy into the world. Thank you especially for resonating with the sacredness and power at the heart of my event. Your presence here today is a light and joy. With deep love from the foot of Mount Fuji in Yamanashi. Catrien. To follow up on my comment to Rose. 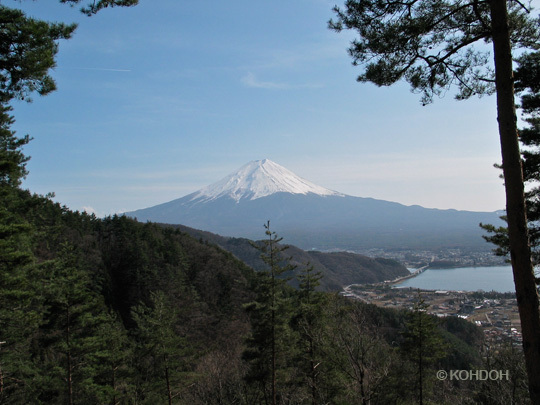 Rose has just published my article about Mount Fuji Energy Resonance as a guest post on her blog. Her blog and website present an adventure in Energetic Literacy – a transformative approach that Rose has developed and writes and teaches extensively about.